Retrofitting means equipping a vehicle or machine already in traffic with an effective exhaust aftertreatment device. 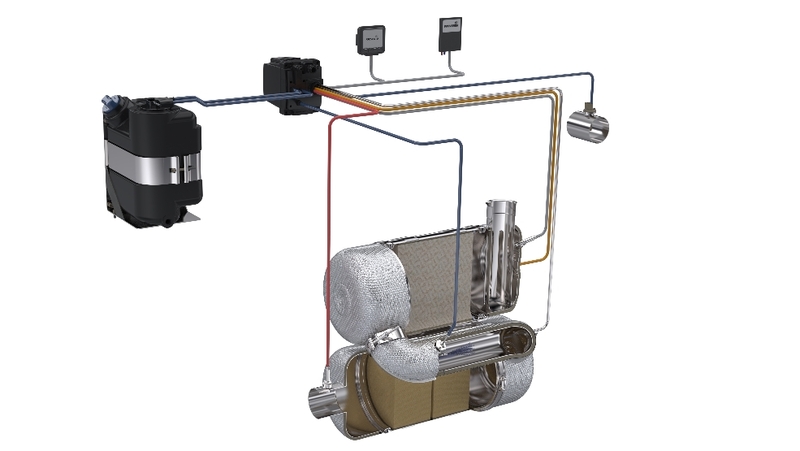 Proventia offers world-leading retrofit solutions for upgrading vehicles' emission class even up to Euro 6 emission level. 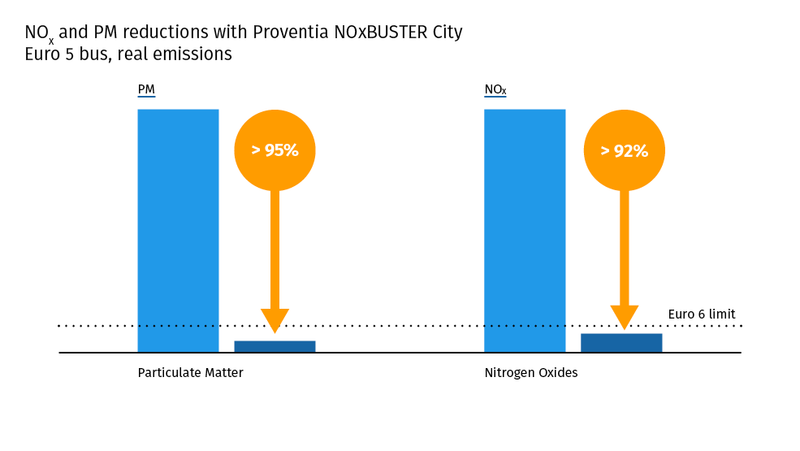 Long-term exposure to diesel engine pollutants, particulate matter (PM) and nitrogen oxides (NOx) adversely affect human health, causing cardiovascular and respiratory diseases and even premature death. Today's international emission standards for on- and non-road machines and vehicles guarantee, that new machines meet the requirements of health and safety legislation. However, it is the older machinery operating with either basic or no exhaust aftertreatment devices that is responsible for polluting the local air. In order to improve the air quality, many cities worldwide have implemented so-called Low Emission Zones (LEZ) or Environmental Zones (E-Zones), that require diesel machines and vehicles to meet certain levels of exhaust emissions before they are allowed to drive inside the zone. In some low emission zones, vehicles with higher emissions have to pay more if they wish to enter the zone. The polluting vehicles can retrofitted with efficient exhaust gas aftertreatment devices: diesel particulate filters and SCR systems, for instance. Retrofitting is the fastest and the most cost-effective way to improve air quality and reduce environmental, financial and health impacts – direct and indirect – in the short term. For the amount of money spent on just 1 new bus, 20 existing buses can be retrofitted. 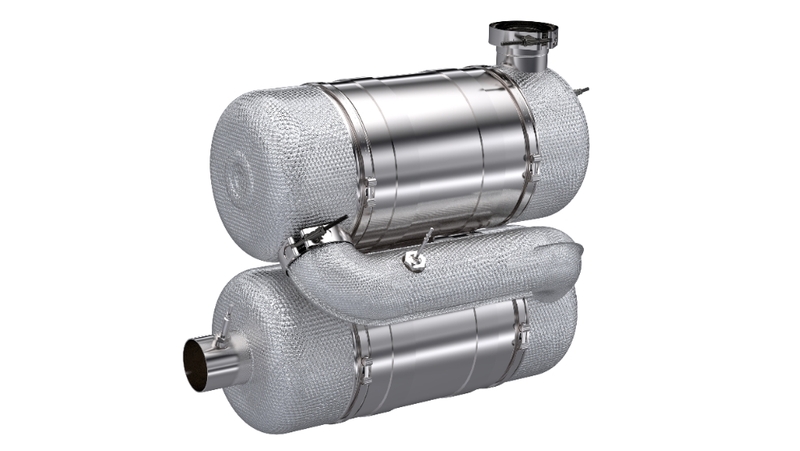 The most effective retrofit devices, combining both diesel particulate filters (DPF) and selective catalytic reduction (SCR) systems, reduce PM and NOx emissions to the EURO 6 level (valid emission standard for new vehicles). The innovations and technologies for OE applications can be utilised in retrofit systems as well.